Is June a Great Month for Relationships? You Bet! Who Could Say No to Feeling the Love This Month? 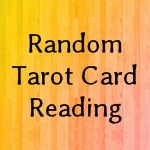 Most people find me because they are looking for an empath and aura reader to share insights with them. It is a pleasant experience for me to be connected to the Light in the people I read for. 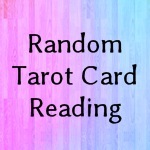 When I do my own personal readings I use oracle cards now and then. I have three card decks that I keep close to me while I work. I really enjoy having their powerful energy in the space of my aura, reciprocating their wisdom. I keep my Rider-Waite deck stacked face down on top of a wonderful book about tarot. 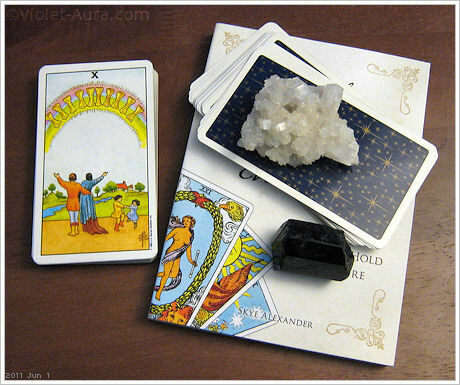 On top of the cards sits a crystal cluster of apophyllite at one end of the deck and a specimen of black tourmaline at the other end. 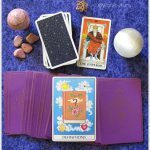 For me, the cards resting on the book with the stones on top helps keep the energies clean, clear and pure in a simple way: I am not constantly ritualizing over them to remove lingering energy that doesn’t belong. I have a black-colored crushed velvet cloth they sit on sometimes. The cloth has not been used for reading on in a while and I hope to find something in a fabric store that stands out and I will use it going forward. The cloth is old and the color is seems to be a bit dreary. I teased some more and let the cards know this picture was going to go on my blog, and then I said, “If you have something to share or a message to give, by all means, make it known! I shuffled some more, and more, getting all of the cards excited with energy and then I cut the deck one last time. And so, for the month of June this year, from the energies of my home to yours, the energies of joy, happiness, harmony and celebration of relationships (family, friends and lovers) make their way to you with the hopes of being received and acknowledged. Appropriately, in North America where I reside, this month holds much in the way of celebrating a joyous stage for a relationship: Marriage. 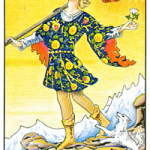 The card represents in that case, the ultimate joy of a relationship, and a new cycle of learning to love. A new and different path has opened up for many people. I will not forget to add, the first day of the month presented a solar eclipse (partial). 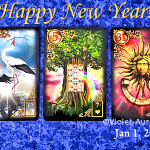 Energies of starting anew and carrying on with a blank slate or even picking up where the ball may have dropped a while back, are just some of the major energies flowing in the cosmic tide at present. If we go with this flow; opening up and being receptive to enjoying the love this month has to offer, it will make for very smooth emotional journeying. Now the key to going with the flow is exactly that. Go with the flow! If you are not in a romantic relationship, have been frustrated by a dry-spell or a recent break-up, or are in a relationship wondering why you are not married yet and when he is going to ask, collaborating with envy and discord is not the way. Keep focus on love and enjoying the love of people who are in love, and you will get back into your groove. Be happy for those venturing into a new stage of life together. Spread love within and without. Love and pamper yourself.